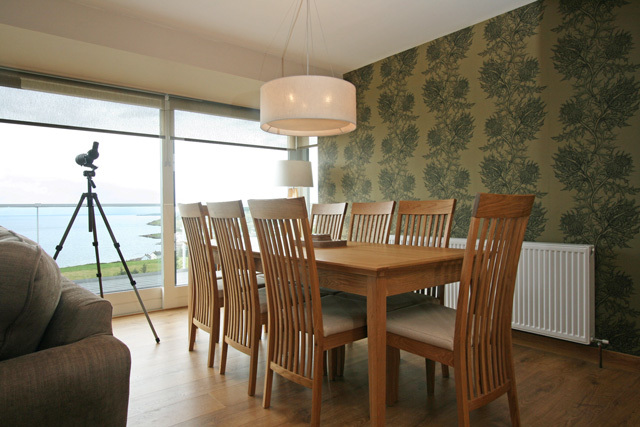 Ardbeg is a luxurious property, situated in a quiet location on the outskirts of the village of Gairloch on Scotland’s west coast. 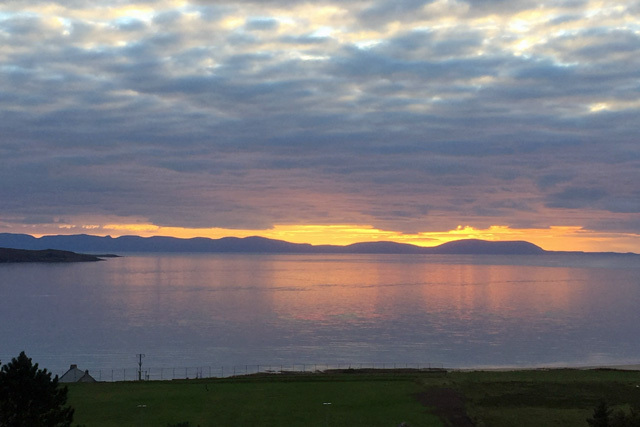 Enjoying magnificent views over Loch Gairloch and towards the Isle of Skye and the Western Isles, the house which is new to the self catering market is beautifully furnished and equipped to a high standard. 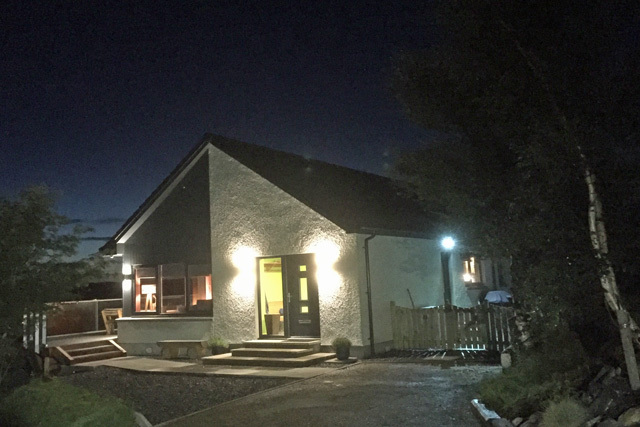 The property makes an ideal base for a family holiday, including those that want to explore the North Coast 500 route which passes through the village. 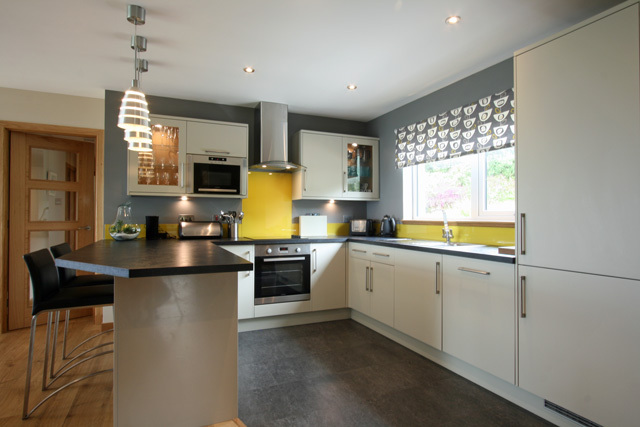 Inside the property certainly has the wow factor with the large open plan sitting, dining room and kitchen being one. This room has beautiful oak flooring, a large wood burner, Smart TV and floor to ceiling windows which offer direct access to the exterior decked area. The dining area has a large table with seating for eight, and the kitchen is well equipped with all the usual appliances and everything any avid cook would require. 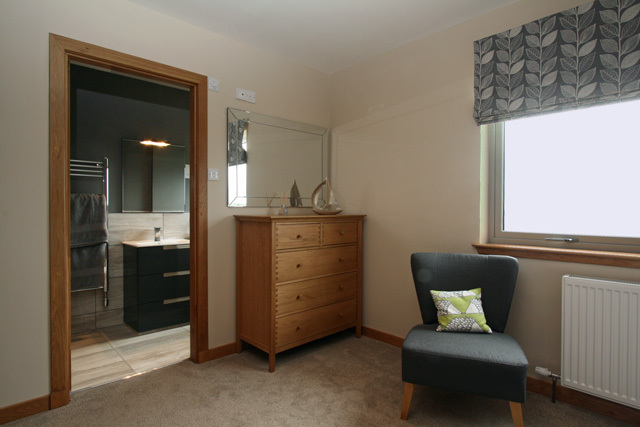 A separate sitting room is also available and this again has a Smart TV. The property has three bedrooms; the master to the front with views towards the sea has a king size bed and an en-suite shower room with a large walk in shower. To the back of the property there is a double and a twin room, both of which enjoy views to the rear garden. 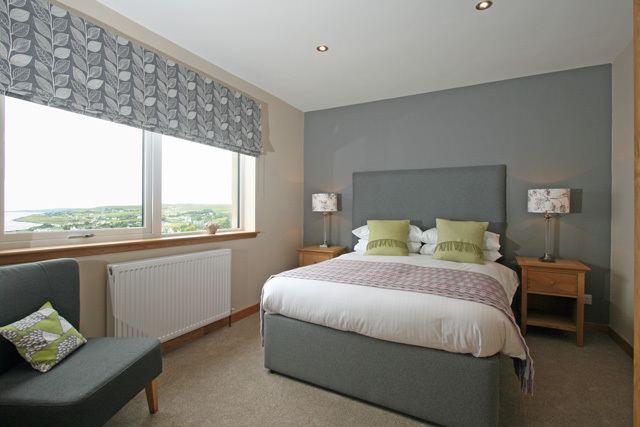 All the bedrooms have carpeted floors, quality beds with feature headboards, and beautiful bed linen and towels are provided. 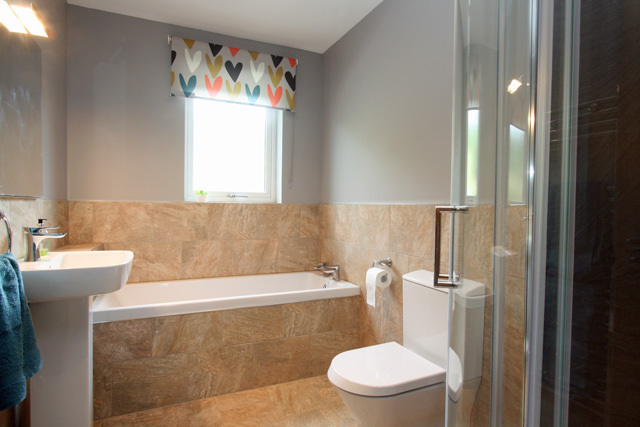 A bathroom with a bath and separate shower and a spacious entrance hall with seating complete the facilities. 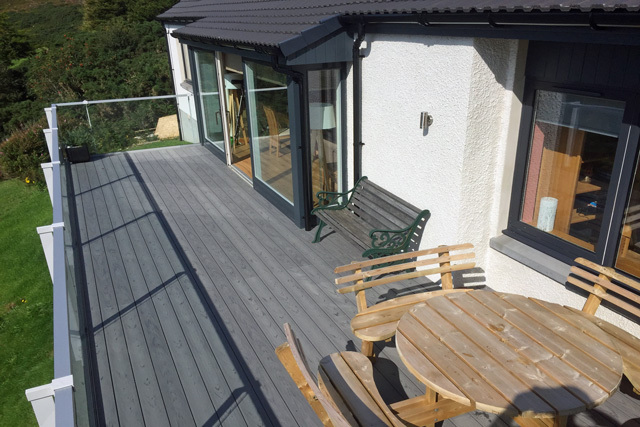 Outside the rear garden is fully enclosed which makes it ideal for guests with children or the family pet. At the top, a gate allows private access onto the hills, where there are various marked walks and archeological sites, the owners also provide a map of this area. To the front the spacious decked area with its table and chairs offers panoramic views over the village and to the sea, especially so when the sun is setting. A large gas barbecue is also provided and parking for three cars is available. 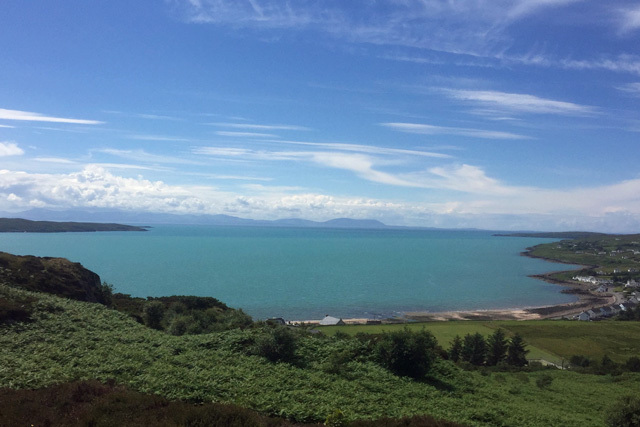 Gairloch has a good range of attractions and facilities for the whole family, including many small shops, restaurants and pub, all of which sell the locally caught seafood. The award winning Heritage Museum is an ideal place to visit, offering many fun 'hands on' activities to keep guests of all ages amused, in addition to the usual historical information about the surrounding area. For the golf fan, a small 9 hole course is available. The course though small must be one of the most picturesque courses in the highlands and various visitors’ tickets are available in addition to club and trolley hire. For those more active guests the leisure centre is situated closeby which has a fitness suite, climbing wall, court hire for short tennis and badminton and various classes are alos available. For the swimmer the nearest pool would be at Poolewe. For those interested in gardening, Inverewe Gardens (National Trust for Scotland) is located six miles north of the village. Famed as being one of the world’s greatest gardens and originally the dream of Sir Osgood Mackenzie, the gardens are filled with exotic flowers from around the world including Chinese rhododendrons and Tasmanian eucalypts. 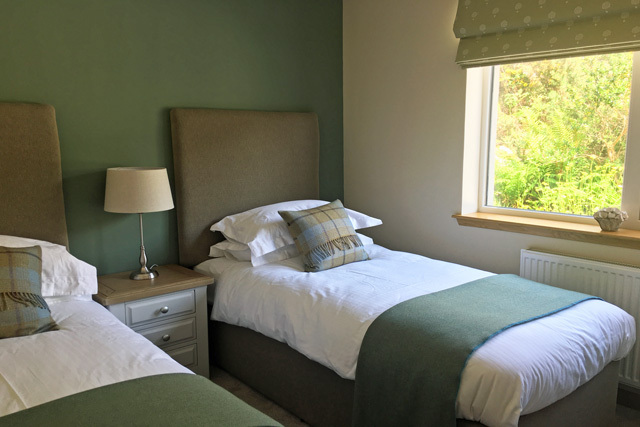 Various vantage points around the gardens allow the guests to take in the views of Loch Ewe and the colourful gardens with their seasonal displays. The added advantage of a restaurant and a retail shop makes this a particularly good day out. Various boat companies operate in Gairloch and allow the guest to view the local sea and wildlife, one of the most interesting and unique must be a trip on the ‘Sealife’ glass bottom boat, and many others offer fishing. Back on dry land there are walks to be enjoyed and further afield a few Munro’s for the real enthusiast. For children there are many quiet sandy beaches and pony trekking is available at the Gairloch Estate. All in all a fantastic location for a self catering holiday. Spacious open plan living area incorporating the sitting area, dining room and kitchen, floor to ceiling windows with access to the exterior decking. 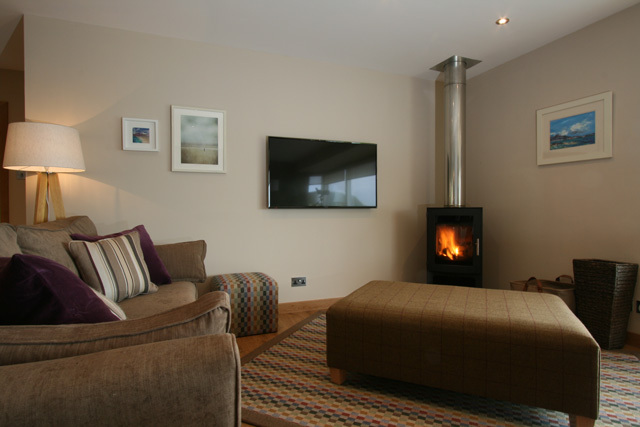 Sitting room with comfortable sofas, wood burner, Smart TV with Freesat, blue tooth speaker for iPods etc. Kitchen, electric oven, grill and hob, microwave, fridge/freezer, dishwasher, Magimix Nespresso coffee machine, washing machine and all the usual cooking equipment, door to the garden. 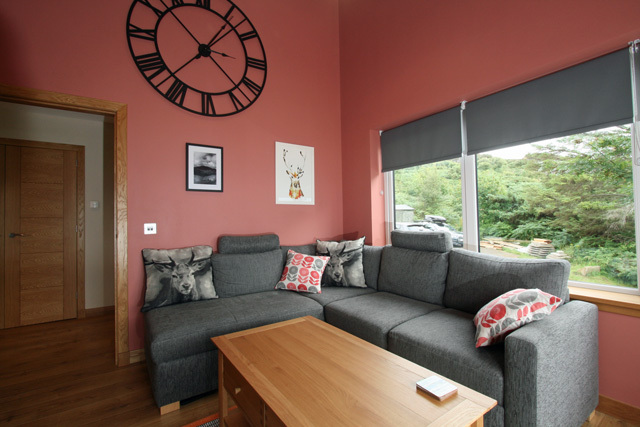 Separate sitting room with corner sofa and Smart TV with Freesat. Master bedroom with king size bed, en-suite with large walk in shower, wc, whb, heated towel rail, views over the decking and beyond to the sea. Twin bedroom with views to the rear garden. Travel cot and high chair, please note that no bed linen is supplied for the cot. 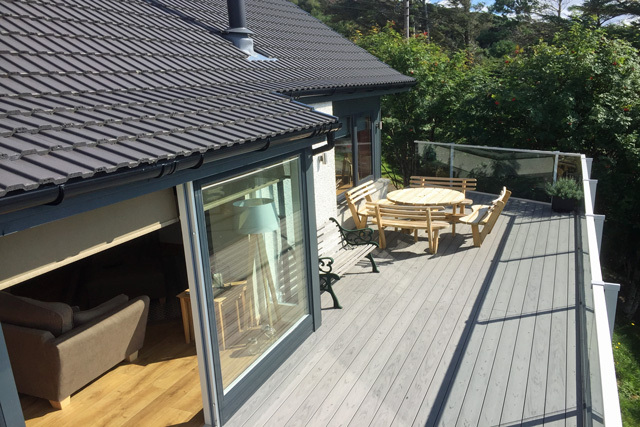 Large decked terrace to the front with garden furniture. The owner allows one pet at the property, an additional £20.00 fee applies, please note that the front garden is not enclosed, however the rear garden is fully enclosed with fencing. 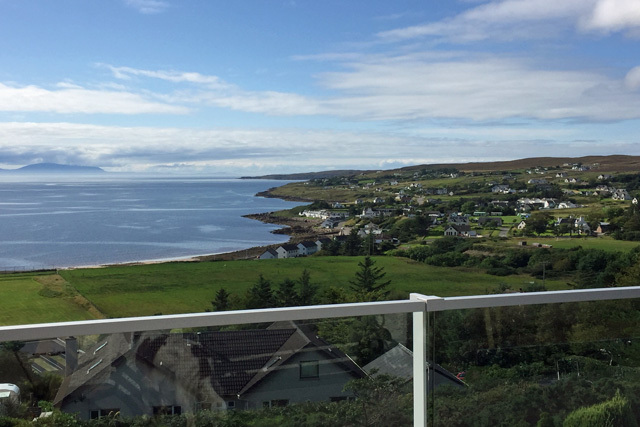 Spectacular location with the amenities of Gairloch close to hand. 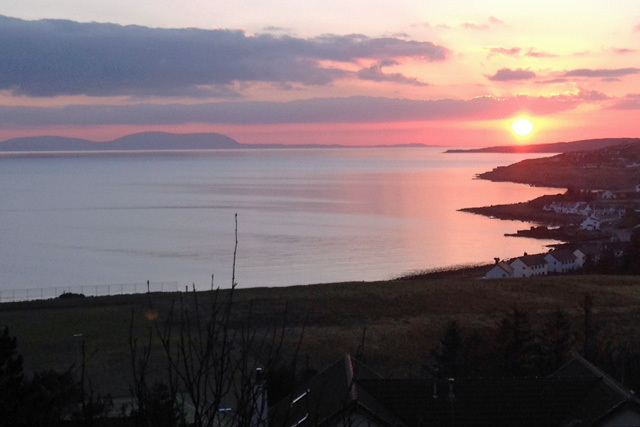 An ideal base to explore the west coast including the North Coast 500. 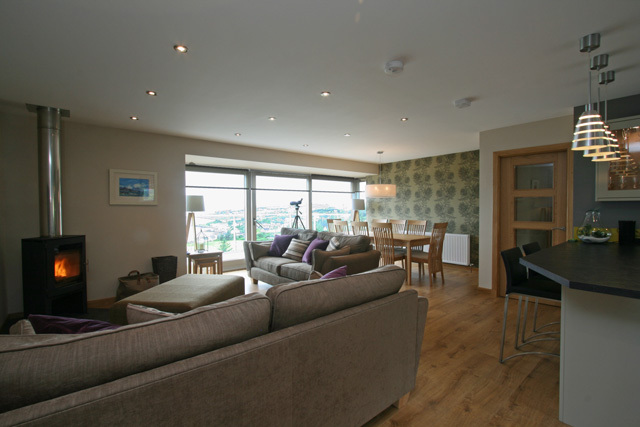 Beautiful property equipped and furnished to a high standard. Lovely house and gardens with wonderful views from the lounges and the large decked balcony. The rear garden is enclosed and safe for dogs with a gate at the top for direct access to the fells. 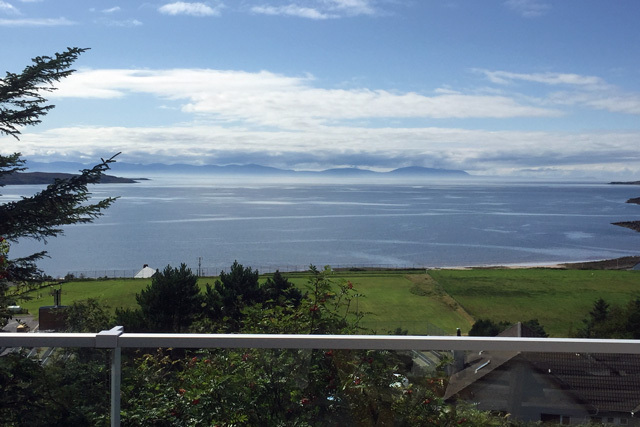 This house is in a fantastic elevated position in a wonderful part of Scotland and only a few minutes from beaches and a few shops, pubs and restaurants. An exceptional property and well equipped. 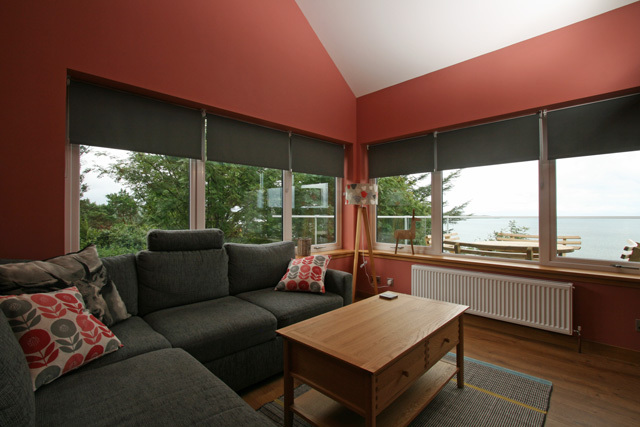 Lovely location with a fabulous view of the loch. 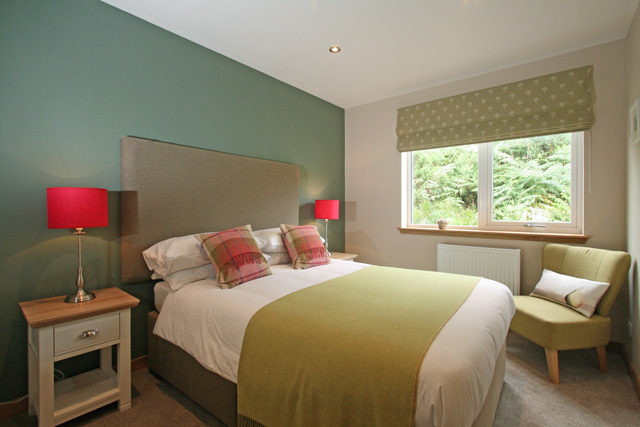 The house is well appointed and recently refurbished to a high standard. We loved our stay! Wonderful Base to explore this Scenic Area. Watched Dolphins playing in the loch from the deck [with binoculars] and Pine Martins in the Garden, a Kite was nose to nose with my wife through the glass of the deck. 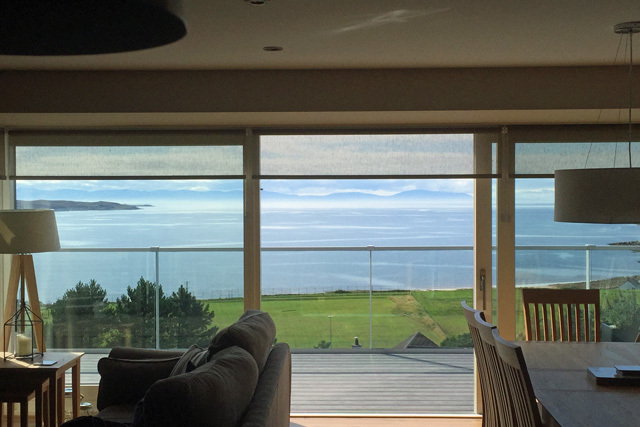 The House had everything we could wish for all to tasteful standard, views across to Skye. Lovely property, beautiful views, all you need, as in home from home. Will definately return.